I am finding the world of book publishing very odd. I thought it was just about handing over a manuscript to the publisher! How wrong I was. Every day I am being asked to do something completely new (it’s only been about a month since I first understood how to write a blog post!). I really hadn’t anticipated that getting The Seventh Season into print would require me to dedicate myself to so much publicity & marketing work. I often wonder what Kit was asked to do when the book was originally published – probably just write an article for the TLS and have lunch with a few friends on Fleet Street! 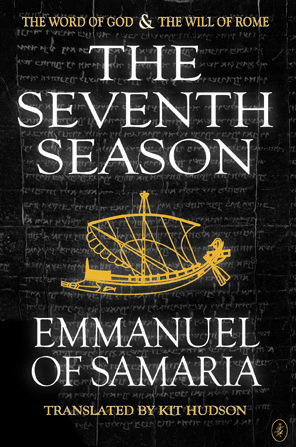 It’s getting very close to publication now (the official launch date is August 22nd) and as part of the pre-launch awareness campaign, Venatrix are giving away paperback copies of The Seventh Season over at Goodreads.com I haven’t actually seen the paperback myself yet, so you may get your sticky mits on a copy before I do. Giveaway ends August 21, 2013. In the meantime, I am still gathering info on Kit, still on the case of the Aksum scrolls and generally getting a bit nervous about the big day. 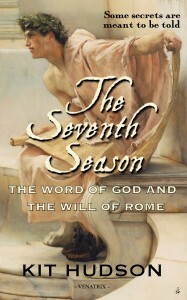 Getting The Seventh Season ready for publication has been incredibly exciting for me. I have a great sense of achievement having got the website up and running, but I’m left with an almost unbearable anticipation as we lead up towards the launch in August. While I’ve been getting things ready, the Hudson family have been amazing (thank you so much, Eva) and I’m getting bowled over by the number of anecdotes that are starting to surface about Kit. I’ll pull them together into a blog post soon – he was an incredible person who lived an amazing life. As I work through the rest of Kit’s bequest, I’ll post updates on his translation work and manuscripts, so please do join the mailing list (no spam, no clutter, no third parties) for some juicy exclusives. In the meantime, I encourage you to check out this fan site a reader in the States has set up. It has an incredible map – someone obviously really loved this book! Thanks so much for your interest in The Seventh Season!